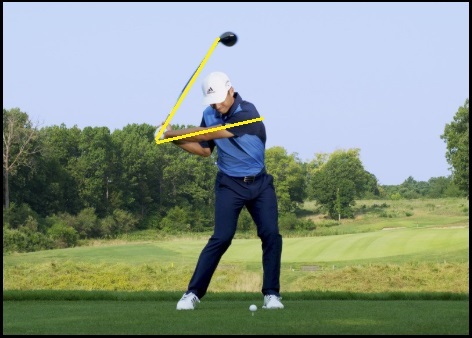 This is not to pick on Xander, who is obviously a fine golfer, but in the swing sequence description of his action, I couldn’t help noticing another silly and absolutely wrong thing – the Modern Golf myth of the “wide arc” on the back swing. Now, I’m sure that Xander’s father has the best intentions with his son and other students he may teach, but the above assertion makes zero sense, because the arc of a swing is created by the length of the leading arm combined with the golf club shaft being swung. Unless you’re going to tell me that anyone can lengthen either their leading arm or the club shaft during the swing – you cannot create a “larger arc” by doing anything on the back swing. No, it doesn’t, because the statement is absolutely wrong, due to the fact that the arc is created by the lever size (length, if you will). Everyone has a back swing arc that is different from their down swing arc, and if you don’t believe me, look at any animation of the swing with the arcs defined. 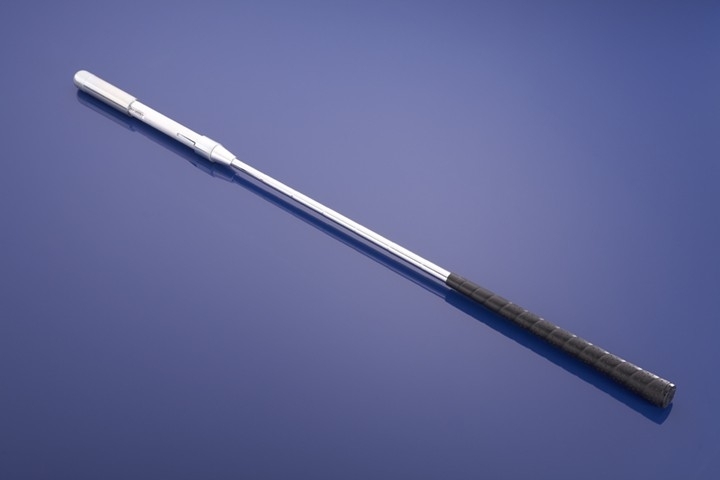 You can create as wide an arc as you wish going back, but the down swing arc is the one where you strike the ball, and nothing you do will make it wider, unless you lengthen the two levers in question, the leading arm and the club shaft. You can decrease the size of the arc – the only way I know how is by not completely straightening the leading arm by impact, but there is no possible way you’re going to increase that arc, whatever you do on the back swing. 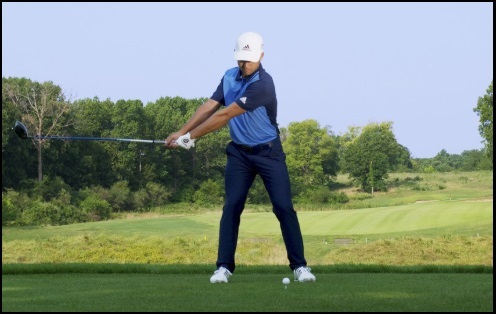 Looking at the arms away from the body in the back swing, of which much is made, you still have the trailing elbow tight to the body coming down – which means that nothing you did on the back swing has any bearing on the size of the arc coming down and through. If you’re going argue that you’re increasing the size of the back swing arc, no you aren’t either, because unless that leading arm has stretched, all you’re doing is manipulating the back swing motion to make it appear larger. 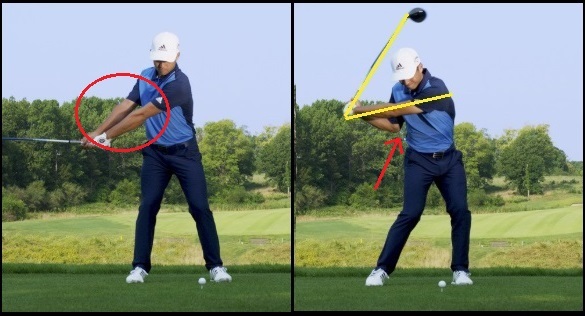 You can move the arc or change its angle by moving the arms away from the body, but the arc itself will be the same size – that created by the leading arm and shaft. And that back swing arc, as I said… has nothing whatsoever to do with the arc of the down swing, which is the one in which you strike the ball. I’ve always told people this. Naturally, they ignore me. Such is life. I guess modern ideas are so deeply ingrained it just appears there’s no other way. In my career, the classic swing came simply when I got rid of the modern stuff. It kind of just happened by itself when I got rid of the nonsense. But yeah, swing arc on the downswing is what matters. In my career, the classic swing came simply when I got rid of the modern stuff. It kind of just happened by itself when I got rid of the nonsense. That’s about the size of things, Mr. McJ – I had a mechanically-sound golf swing as soon as I stopped planting the leading heel, and the rest of my swing research time has been sent pursuing optimal action. The fake theories of the modern golf swing keeps this site ever fresh.